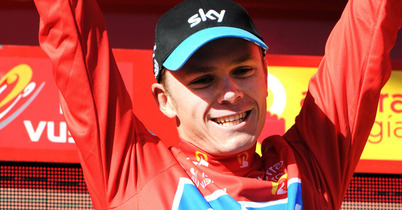 Ten stages in and the 2011 has been a cracker so far. We’ve had incidents and action on a course that has shaken up the riders' expectations of a grand tour by hitting them with a summit finish after only four days, and shaken up viewer expectations of a Vuelta by swapping the usual motorways and cement factories for broad, arid vistas, cosmopolitan towns and heaving beachfronts. And motorways. All that has added up to a win for the fans, and the winners and losers within the race are equally clear. Igor Anton’s unexpectedly poor performance the moment the route first went uphill saw him drop out of contention even before a poor time trial left him nearly nine minutes back. Michele Scarponi’s collapse hasn’t been as clear to the eye as Anton’s, but his failure to be right at the sharp end of the race put him in a position where Wiggins’ great day on La Covatilla and Scarponi’s own underperformance in the following day’s TT sees him at 4:22. Joaquin Rodriguez was expected to lose big time in the TT, and he did. He wasn’t really expected to blow quite as much on La Covatilla, but his cushion in the red jersey was such that his status as a loser at 3:23 doesn’t look quite as serious as that of Denis Menchov and Janez Brajkovic in thirteenth and ninth place respectively. Those aren’t bad standings, but very little of the remaining route suits either man, so it looks likely that they’ll start a rankings slide from here. The big winners so far are Wiggins and Nibali. In any grand tour you can put together a list of ten or fifteen riders that should be contenders for the overall, but of that list you know that deep down there are really only four or five that actually are genuine contenders. Of the group that benefit from more than just polite inclusion, only Wiggins and Nibali remain in the top ten, at 20 and 31 seconds back, respectively. Thus far, Wiggins has looked the stronger by a whisker - with one ill-fated exception on La Covatilla, Nibali has defended or even briefly faded on the climbs, while Wiggins has taken charge, riding sensibly at the front and occasionally setting the pace. That balance will undoubtedly shift as the race continues through seven more mountain stages - despite Bradley’s massive improvement on the steep bits, they’re still Nibali’s natural arena. Of the other top tenners, the most notable is Chris Froome, who has shown incredible strength in the service of Wiggins in the mountains, and unexpected power in the TT to take the red jersey. He leads Fuglsang by 12 seconds and Wiggins by 20, but he’s young and his experience of leading a stage race is limited to winning the 2006 Tour of Mauritius. He’ll fade down the standings over the next 11 stages, but his name will stick in the mind and we’ll all be watching out for him next year. Bauke Mollema, or “The Great Bauke Mollema” as some parts of the internet know him, is in the position Froome will find himself in next year: in the past, he's been the star of the future, in the present, he's fulfilling that potential. He looks robust and ready to grind away at the race until a top 5 or (whisper it) podium place is his. Fuglsang is the surprise, at least to me. Leopard Trek have been touting his stage racing potential, but the scarf-modelling true racers have always talked a better fight than they’ve actually fought. To me, Fuglsang’s previous good placings have always spoken of an ability to get good placings, rather than potential to get great ones. I’d always put him in the Oscar Perreiro bracket: a rock-solid, respectable rider, but one who’d need both a lucky breakaway and a lucky break to make any further progress. Yet there he is, in second and looking comfortable, if not exactly powerful. Ten stages down, eleven to go. Seven of which are mountains. Seven. Including the Angliru. When you look at it that way, anything could happen. Hell, even Anton could make a comeback! In all likelihood, however, I think we’ll see Nibali grinding skyward, never having good days, but never having bad ones either, until he finishes in red by a narrow margin. While the likes of Scarponi, Anton and Rodriguez have fallen backwards, the remaining territory suits them all sufficiently that I expect them to regain positions in the top ten at the expense of Brajkovic, Monfort and Zubeldia. Rodriguez in particular will do well on Pena Cabarga, and might fancy his chances today as well-it’s not really a steep enough climb for him, but it is at least a short one. ITV4 have done a cracking job of pulling together Vuelta coverage at the last minute, overcoming dodgy Spanish feeds and acoustically iffy surroundings to bring us enjoyable and occasionally rather moving coverage: Cervantes and Cavendish was the sort of cultured combination that makes me love cycling. Nevertheless, the last minute addition of the Vuelta to the schedules means that they have a pre-existing commitment to motor racing that they have to honour this Sunday. Worse still, Eurosport are dropping their Vuelta coverage on the same day in favour of tennis. That’s Sunday. The day the race goes up the Angliru. The queen stage of the race. Moop. All is not lost, however, as ITV will be streaming the race live online, so you’ll be able to watch it here: http://www.itv.com/itv4. Phew.